Hailing from Toronto, writer/actor duo Prem Singh and Michael Pugliese may just be the next big thing in Hollywood. 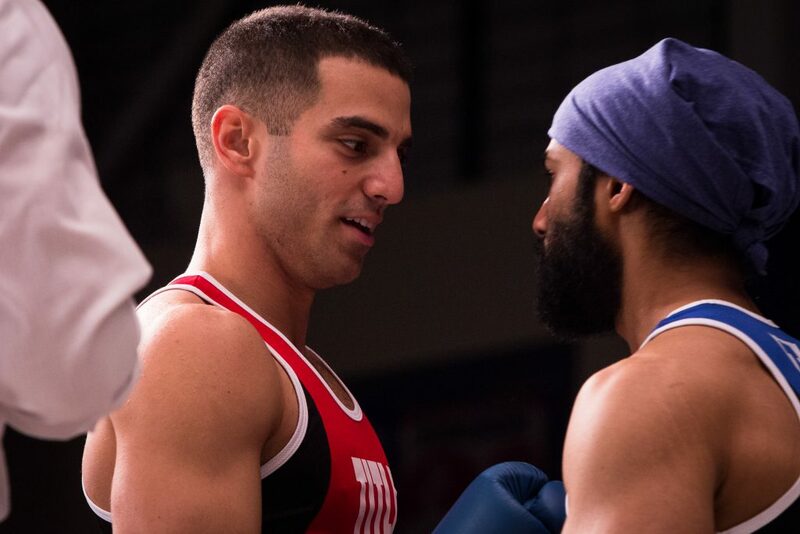 Their movie Tiger, written by and starring Singh and Pugliese, is an inspirational movie with a diverse cast and a behind-the-scenes story that is just as compelling as the onscreen story. Due to be released later this year, the movie also stars Mickey Rourke and Janel Parrish (best known for her role as Mona Vanderwaal on Pretty Little Liars). Not bad for first-time filmmakers. After meeting each other in acting class, the pair became fast friends with a healthy dose of competition. As the two honed their acting chops, both men found themselves frustrated by the lack of diversity and leading roles available to them in Toronto. So instead of lamenting the problem, they took matters into their own hands and created the roles. Michael and Prem began writing screenplays together. 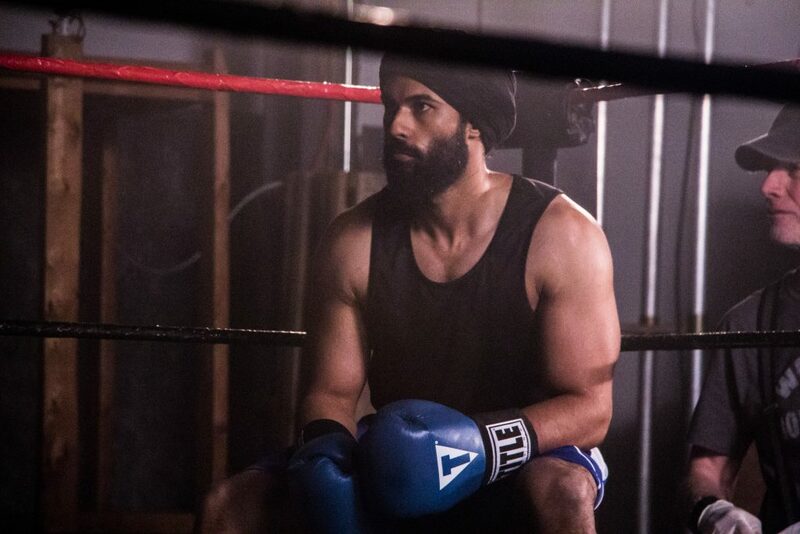 Around 2009, the duo began work on Tiger, a story inspired by the life of Pardeep Nagra, a Sikh boxer who was barred from the sport of boxing because he refused to shave his beard and who went to court to win the right to compete. It’s only fitting that such a powerful story about grit and perseverance would be made into reality by two men who exhibited the same determination and grit as Pardeep Nagra to bring Tiger to the big screen. Making Tiger a reality was no easy feat. From the process of writing a screenplay to stalking Mickey Rourke at his gym in hopes of getting him to join the cast, Prem Signh and Michael Pugliese nearly willed the movie into existence. MICHAEL: Everything [laughs]. It was literally everything. I think being big dreamers, and always shooting for the stars — you think things are going to happen a lot quicker. It took much longer than we expected in my opinion. PREM: Also, we were told that nobody was going to make this movie. We were told that we shouldn’t do this type of film. It was also challenging because Mike and I always feel that whatever film we make, we want to make some sort of change. We want to send out a strong message with any projects we work on. Tiger being one of the first major projects that we are doing, we’re very proud of the message that it sends. And we believe that people who watch this film, they’re going to walk away with something. Because there’s so much history behind this, and since people told us that we couldn’t do this we realize that we are very blessed to be in the position we are today. What was it about Janel Parrish that told you “hey you know, she’s the perfect person for this role”? MICHAEL: It just comes down to her talent. Even though it’s a different kind of role and a different kind of genre. It’s just a craft itself. With the help of Alister Grierson (our director); we worked in a screen play that would work for Janelle. So wrote it specifically for her, just like we did with Mickey Rourke and everything kind of just worked out as planned. Mickey Rourke is also in Tiger. This is right up his ally. How did that relationship come about? MICHAEL: We basically stalked him. PREM: You’re laughing, but it’s really true. PREM: We hit bags for hours and hours until he walked in. MICHAEL: When he walked in the owner of the gym, a really nice dude, was like “guys come over here and meet Mickey.” The owner made the introduction, and the rest is history. We sat outside the gym for a number of hours with Mickey talking about the screen play and our pitch. But, that was the first time we got Mickey involved. We have talked a lot about your movie Tiger, but now we want to get to know the two of you a little better. What are your all-time favorite movies? PREM: We just talked about it on our flight home! Too funny. Mine is Rocky. When I saw that film. I was blown away by the story, by Rocky’s character and by Stallone’s story of what he had done to make the movie. I mean he never gave up. And that was a clear indication for me as a writer, as an actor to never give up. MICHAEL: I think my all-time favorite is Castaway. I remember we watched it in my house with my family and to watch one man be able to entrance a room like that, to bring them into this world that he created, it was insane. I think it’s extremely well done and I’m a huge Tom Hanks fan. So Castaway would definitely be my number one.